Wallace Oils providing oil, gas and diesel to domestic, agricultural and commercial customers in Cumbria. Johnstone Wallace Fuels providing oil, gas and diesel to domestic, agricultural and commercial customers in south-west Scotland. 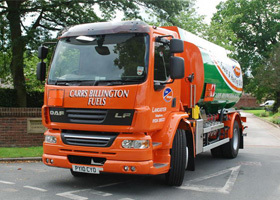 Carrs Billington Fuels providing oil and diesel to domestic, agricultural and commercial customers in north and north-east England. The division provides competitive pricing, with an emphasis on customer service.